So remember that non-stop rain in Houston over the weekend, well it prevented me from getting my outfit photos shot for today’s post. 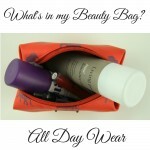 Luckily, I still had this month’s fun What’s in my Beauty Bag to share with you! 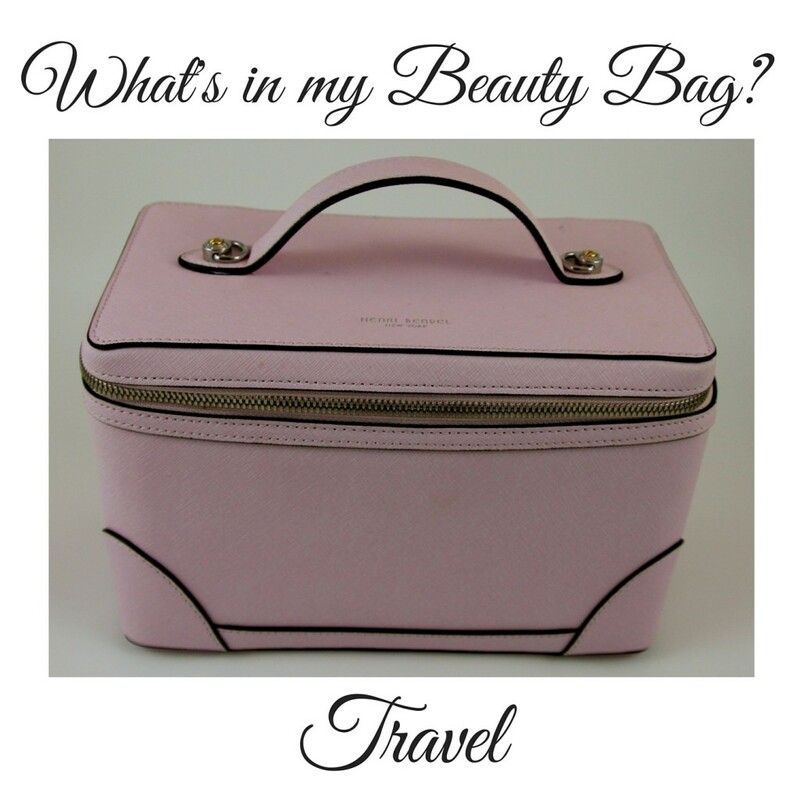 This month is all about some of my favorite travel beauty products. I am not a light packer, so I am always looking for ways to lighten my luggage. Mostly so I can pack more stuff. 🙂 I also like to look for replacement products to make travel easier. Last year, I headed on a group trip to Napa for a wedding. I wanted to have my nails painted for the duration of the trip and the option to change the color out. I also did not want to carry a bottle of nail polish remover for fear that it might spill and damage my clothes. I ended up finding these nail polish remover pads at my local grocery store. If you are a nail polish addict like me, these are perfect for you! 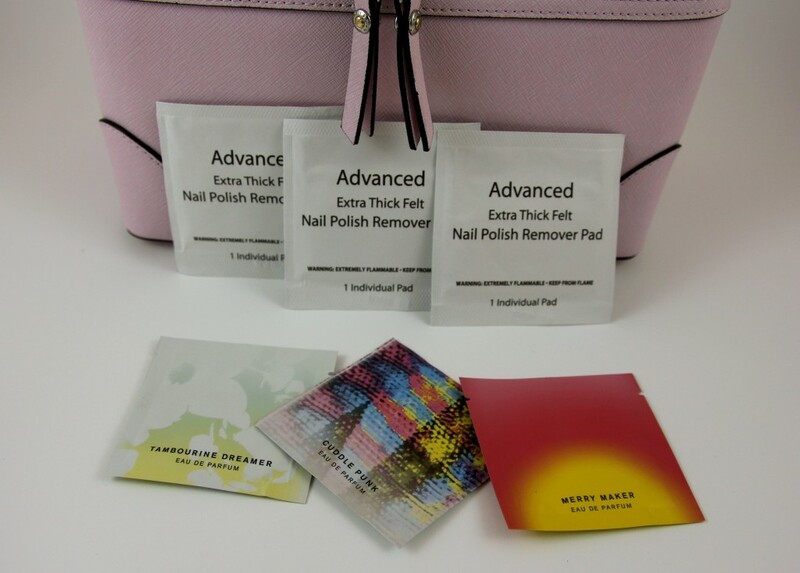 It’s basically a small towelette doused in nail polish remover and perfectly sealed for no spills! One pad worked perfectly for my ten little fingers. Even better these beauties can go in your carry-on if you fly since they aren’t liquid! If you love traveling with perfume, you should check out Pinrose. It is the same concept as the nail polish remover. A small pad with perfume that you can swipe on and then toss. They come in a variety of scents and have a variety pack. (Hello Christmas gift!) These are also great for a carry-on bag too. I also keep a couple in my purse to use before heading to events sometimes. If you want to stick with your favorite perfume, try asking the store for a small sampler. I linked two of my favorite perfumes above that I have small samplers for. Beauty counters sometimes have or may be able to make you a small sampler if you just ask. Sometimes you can also get samples of new perfumes from the perfume counter too. 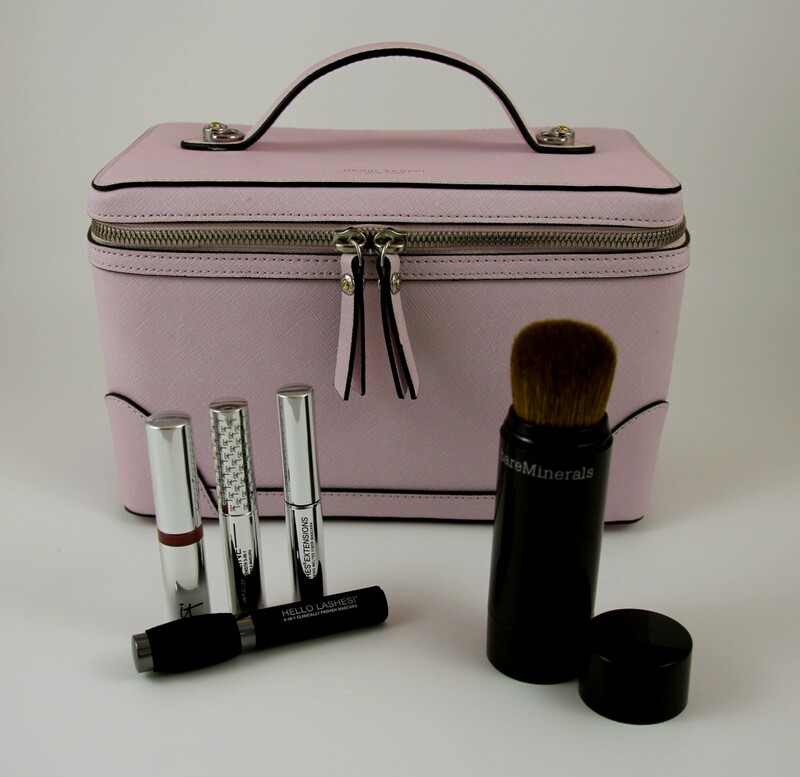 Makeup is another product that can come in sample or travel sizes. I purchased this Bare Minerals brush awhile back to carry around in my purse for mid-day touch-ups. 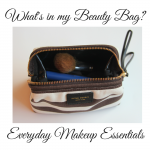 I like it for travel because I can carry it in my purse or carry-on for touch-ups after a long day of traveling. Many brands have mini or travel size products too. Just google search the brand you wear along with mini or travel. 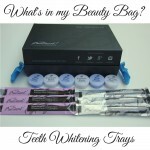 I love my It Cosmetics and many of their products also come in a mini size. These small sizes are also great to carry around in your clutch for holiday parties! You can’t talk travel beauty products without talking about travel size toiletries. I always hit up those travel bins at the grocery store before a trip. 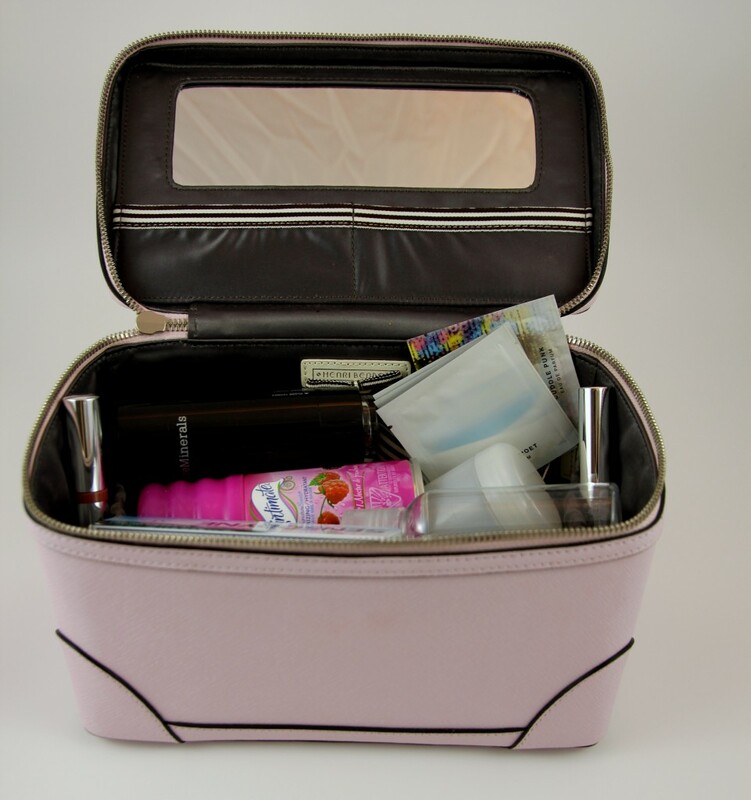 Shave gel, shampoo, conditioner, and lotion can all be find here in perfectly sized for a carry on bottles. If you want to use your regular products, you can invest in some reusable travel bottles. The Container Store is my go-to for travel bottles. They have all shapes and sizes for every product you can think of needing on a trip. Just remember to label the bottles, so you know what is in each one! 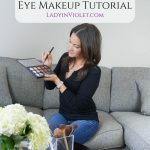 You can also try my little google tip for makeup on toiletries too. 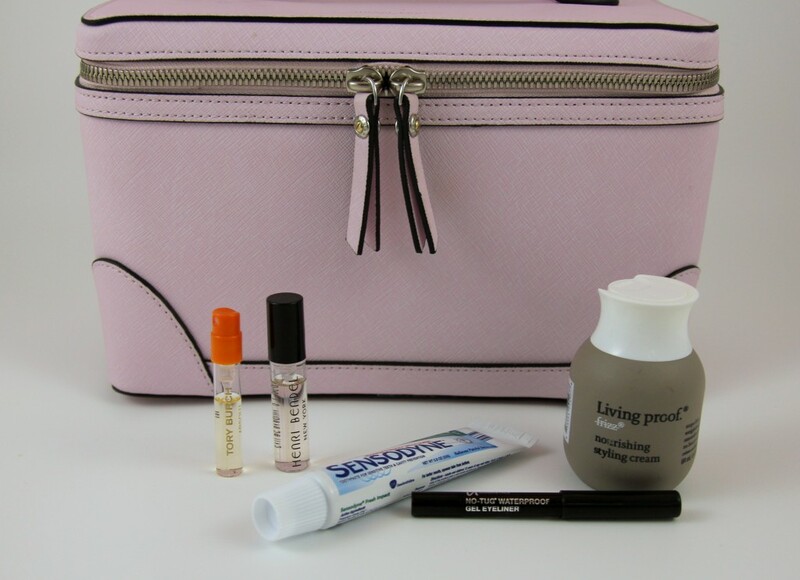 Some brands like Living Proof sell travel sizes on their website in travel kits or just smaller sizes like 1-2 ounce bottles. 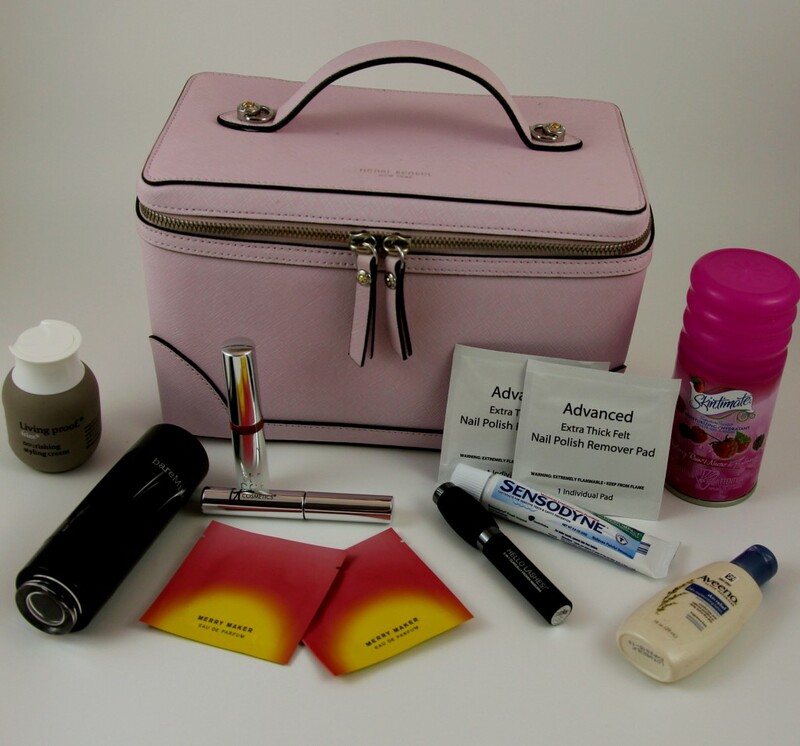 One last great travel product is a good train case for your beauty products. The case is harder than just a cosmetic bag, so it can protect your makeup against damage when your suitcase is being tossed on planes or in cars. I love mine from Henri Bendel, because it has lots of little side pockets for brush storage and is pretty durable. It also has a long strap you can attach to carry on your shoulder. If you have any holiday travel plans, I hope you find some of these tips helpful. These are all products that help make my traveling a little easier and help me have space for another pair of shoes!! Have a great weekend and don’t forget the time changes this weekend as we fall back an hour! It’s my favorite time change because the weekend is an extra hour! !